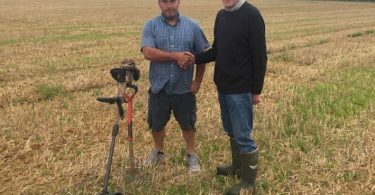 An amateur Metal Detectorist has found a Bronze Age Axe head after metal detecting for only 4 months. 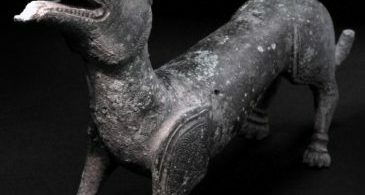 Anthony, 28 found the 3500 year old relic on Harden Moor in West Yorkshire. He was said to have only started detecting this Summer and went out and purchased the Minelab Safari. Anthony a Stonemason who works for Bingley Stone researched the Harden Moor land and discovered in an article there was said to have been a fort there. The Palstave axe head was found around 14 inches down laid on a clay bed. The Bronze age axe head has been dated to around 1300 – 1500 BC. Bronze Age axes were often found either singularly or in great hoards. Not only was they used in the way we use them in modern day. To cut wood and other materials but they were also used as offerings and ingots. Over the Bronze age period axes changed greatly in shape and size.